John 14:17 Even the Spirit of truth [See John 14:6, describing where Jesus mentioned Himself as the Truth]; whom the world cannot receive, because it seeth him not, neither knoweth him: but ye know him; for he dwelleth with you, and shall be in you. What about when the Bible says, “he [the Comforter] shall not speak of himself,” yet here we are saying the Spirit is that of Christ? Notice the wording of the text (as just taking that part would sound like it does now), “Howbeit when he, the Spirit of truth, is come, he will guide you into all truth: for he shall not speak of himself; but whatsoever he shall hear, that shall he speak: and he will shew you things to come.” (John 16:13). Consider again, John 14:24-26 on page 1. 1 Peter 1:11 Searching what, or what manner of time the Spirit of Christ which was in them did signify [declared, not the same as Revelation 1:1], when it testified beforehand the sufferings of Christ, and the glory that should follow. We can see from these texts, that the Spirit of Christ was in the Old Testament (OT) testifying of Himself in the future human form (or the incarnation to come), and now, currently, in the New Testament (NT) it, the Spirit of Christ, is testifying of Christ when He was here on earth as a human. His life on earth is the only example we have as humans of a human life that was lived perfectly righteous. May His life be glorified in all of us! Allos [another, one, other(s), some]…. Matthew 4:21 he saw other two brethren. Matthew 5:39 cheek, turn to him the other also. Matthew 8:9 soldiers… to another, Come, and he cometh. Matthew 10:23 persecute you in this city, flee ye into another. Matthew 12:13 Stretch forth thine hand… restored whole, like as the other. Matthew 13:8 But other fell into good ground. Matthew 16:14 Some say that thou art John the Baptist: some. Matthew 19:9 wife… shall marry another. Matthew 20:3 About the third hour, and saw others standing idle. Matthew 20:6 found others standing idle. Matthew 21:8 multitude spread their garments in the way; others cut down branches. Matthew 21:33 Hear another parable. Matthew 21:36 Again, he sent other servants. Matthew 21:41 destroy those wicked men… let out his vineyard unto other husbandmen. Matthew 22:4 sent forth other servants. Matthew 25:16 made them other five talents. Matthew 25:20 other five talents… five talents more. Matthew 25:22 two other talents beside them. Matthew 26:71 another maid saw him. Matthew 27:42 He saved others; himself he cannot save. Matthew 27:61 And there was Mary Magdalene, and the other Mary. Matthew 28:1 Mary Magdalene and the other Mary. Mark 3:5 his hand was restored whole as the other. Mark 4:5 And some fell on stony ground. Mark 4:7 And some fell among thorns. Mark 4:8 And other fell on good ground. Mark 4:36 there were also with him other little ships. Mark 6:15 Others said, That it is Elias. And others said, That it is a prophet. Mark 7:8 tradition of men, as the washing of pots and cups: and many other such like things. Mark 8:28 some say, Elias; and others, One of the prophets. Mark 10:11 put away his wife, and marry another. Mark 10:12 married to another, she committeth adultery. Mark 11:8 others cut down branches off the trees, and strawed them in the way. Mark 12:4 he sent unto them another servant. Mark 12:5 he sent another; and him they killed, and many others; beating some, and killing. Mark 12:9 destroy the husbandmen, and will give the vineyard unto others. Mark 12:31 love thy neighbour as thyself. There is none other commandment greater. Mark 14:19 one by one, Is it I? and another said, Is it I? Mark 14:58 destroy this temple… within three days I will build another made without hands. Mark 15:31 He saved others; himself he cannot save. Mark 15:41 many other women which came up with him unto Jerusalem. Luke 5:29 a great company of publicans and of others that sat down with them. Luke 6:10 his hand was restored whole as the other. Luke 7:8 soldiers… to another, Come, and he cometh. Luke 7:19 Art thou he that should come? or look we for another? Luke 7:20 John Baptist hath sent us… Art thou he that should come? or look we for another? Luke 9:8 some, that Elias had appeared; and of others, that one of the old prophets. Luke 9:19 John the Baptist; but some say, Elias; and others say, that one of the old prophets. Luke 20:16 destroy these husbandmen, and shall give the vineyard to others. 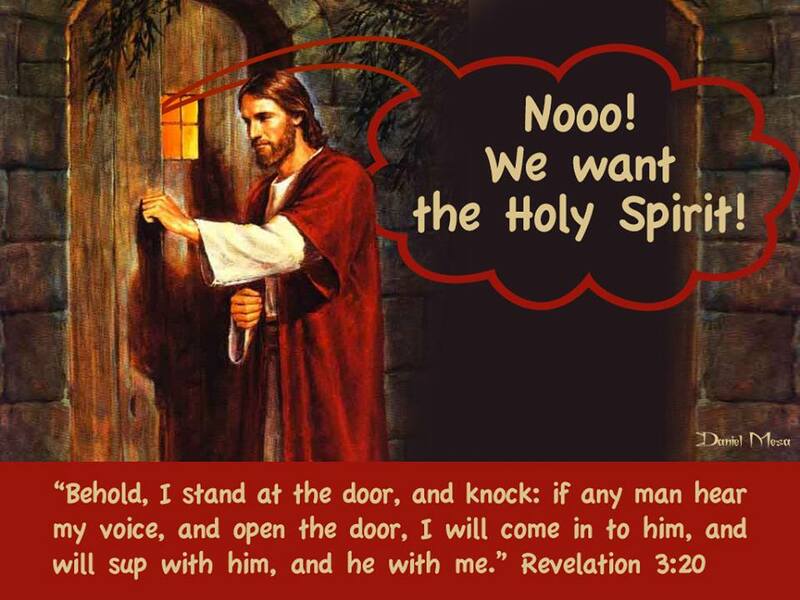 Luke 22:59 one hour after another confidently affirmed, saying…this fellow also was with him. Luke 23:35 He saved others; let him save himself. John 4:37 One soweth, and another reapeth. John 4:38 other men laboured. John 5:7 while I am coming, another steppeth down before me. 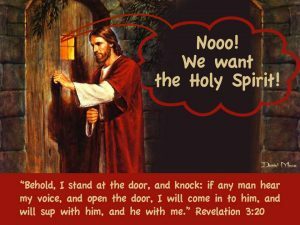 John 5:43 I am come: if another shall come in his own name, him ye will receive. John 6:22 none other boat there. John 7:12 some said, He is a good man: others said, Nay; but he deceiveth the people. John 9:16 he keepeth not the sabbath day. Others said, How can a man…do such miracles? John 10:16 And other sheep I have, which are not of this fold. John 10:21 Others said, These are not the words of him that hath a devil. John 12:29 heard it, said that it thundered: others said, An angel spake to him. John 14:16 And I will pray the Father, and he shall give you another Comforter. John 15:24 works which none other man did, they had not had sin. John 18:15 And Simon Peter followed Jesus, and so did another disciple. John 18:34 Sayest thou this thing of thyself, or did others tell it thee of me? John 19:18 Where they crucified him, and two other with him. John 19:32 brake the legs of the first, and of the other which was crucified with him. John 20:2 Simon Peter, and to the other disciple, whom Jesus loved. John 20:8 that other disciple, which came first to the sepulchre, and he saw, and believed. John 20:30 many other signs truly did Jesus in the presence of his disciples. John 21:2 and two other of his disciples. John 21:8 And the other disciples came in a little ship. John 21:18 thou shalt stretch forth thy hands, and another shall gird thee. John 21:25 there are also many other things which Jesus did. Acts 2:12 were in doubt, saying one to another, What meaneth this? Acts 4:12 Neither is there salvation in any other. Acts 15:2 and certain other of them, should go up to Jerusalem. Acts 19:32 Some therefore cried one thing, and some another. Acts 21:34 some cried one thing, some another, among the multitude. 1 Corinthians 1:16: besides, I know not whether I baptized any other. 1 Corinthians 3:10 I have laid the foundation, and another buildeth thereon. 1 Corinthians 9:2 If I be not an apostle unto others, yet doubtless I am to you. 1 Corinthians 9:12 If others be partakers of this power over you, are not we rather? 1 Corinthians 9:27 when I have preached to others, I myself should be a castaway. 1 Corinthians 10:29 why is my liberty judged of another man’s conscience? 1 Corinthians 14:19 that by my voice I might teach others also. 1 Corinthians 14:30 revealed to another that sitteth by, let the first hold his peace. 1 Corinthians 15:39 one kind of flesh of men, another flesh of beasts, another of fishes, and another of birds. 1 Corinthians 15:41 one glory of the sun, and another glory of the moon, and another glory of the stars. 2 Corinthians 1:13 For we write none other things unto you. 2 Corinthians 11:4 For if he that cometh preacheth another Jesus. Galatians 1:7 Which is not another; …the gospel of Christ. Galatians 5:10 ye will be none otherwise minded. Philippians 3:4 If any other man thinketh. 1 Thessalonians 2:6 Nor of men sought we glory, neither of you, nor yet of others. Hebrews 4:8 would he not afterward have spoken of another day. Hebrews 11:35 others were tortured. James 5:12 swear not, neither by heaven, neither by the earth, neither by any other oath. Revelation 2:24 I will put upon you none other burden. Revelation 6:4 And there went out another horse that was red. Revelation 7:2 And I saw another angel ascending from the east. Revelation 8:3 And another angel came and stood at the altar. Revelation 10:1 another mighty angel come down from heaven. Revelation 12:3 another wonder in heaven. Revelation 13:11 I beheld another beast coming up out of the earth. Revelation 14:6 I saw another angel fly in the midst of heaven. Revelation 14:8 And there followed another angel, saying, Babylon is fallen. Revelation 14:15 another angel came out of the temple. Revelation 14:17 And another angel came out of the temple which is in heaven. Revelation 14:18 And another angel came out from the altar. Revelation 15:1 I saw another sign in heaven. Revelation 16:7 I heard another out of the altar say. Revelation 17:10 seven kings: five are fallen, and one is, and the other is not yet come. Revelation 18:1 I saw another angel come down from heaven. Revelation 18:4 I heard another voice from heaven, saying, Come out of her, my people. Revelation 20:12 the books were opened: and another book was opened.